Happy spring you guys! I cant tell you how excited I am that spring is upon us. 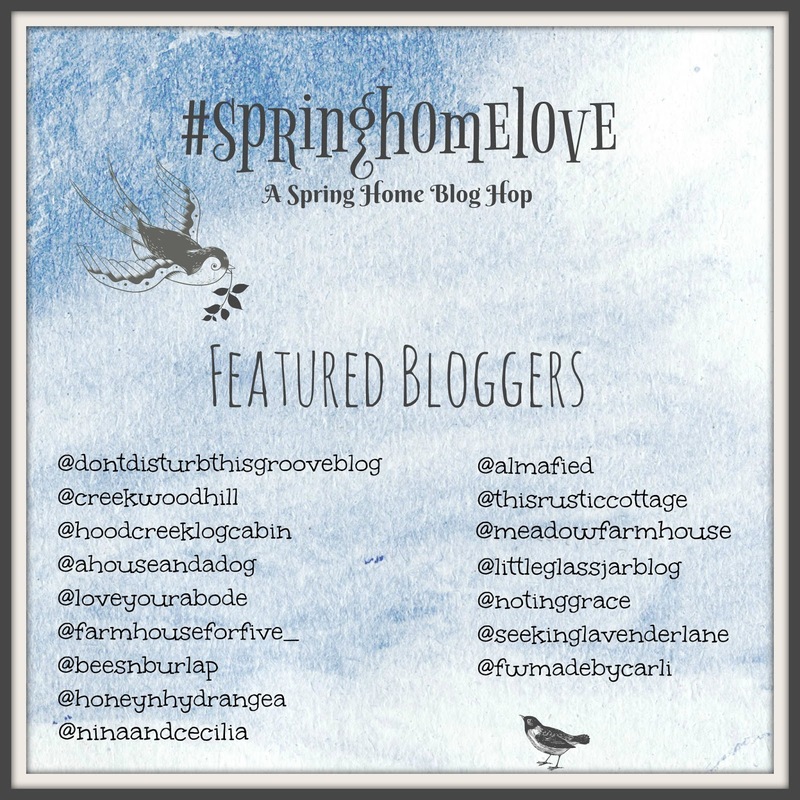 If you are coming from my good friend Yuni's blog at Love your Abode, welcome! 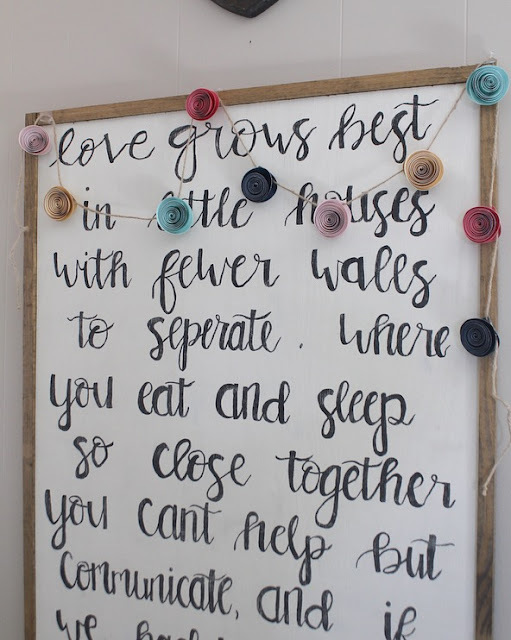 Isn't her whole home just dreamy?! She is absolutely the sweetest and I am so lucky to have connected with her through Instagram. 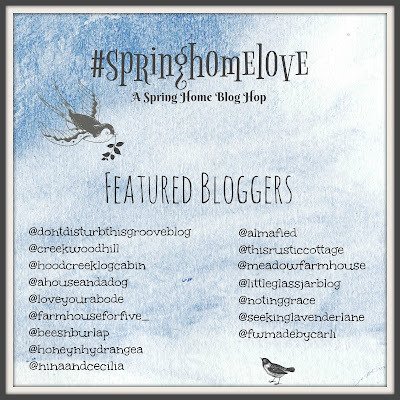 I have teamed up with 15 incredible bloggers to bring you the "spring home love" tour. It's truly been amazing getting to know these ladies over the past couple of months. Stay tuned at the end of my post for links to all my friends spring tours. Believe me, they are full of inspiration! I'm sharing a few rooms with you today. First up, my entry! I love this mirror turned old school chalkboard. 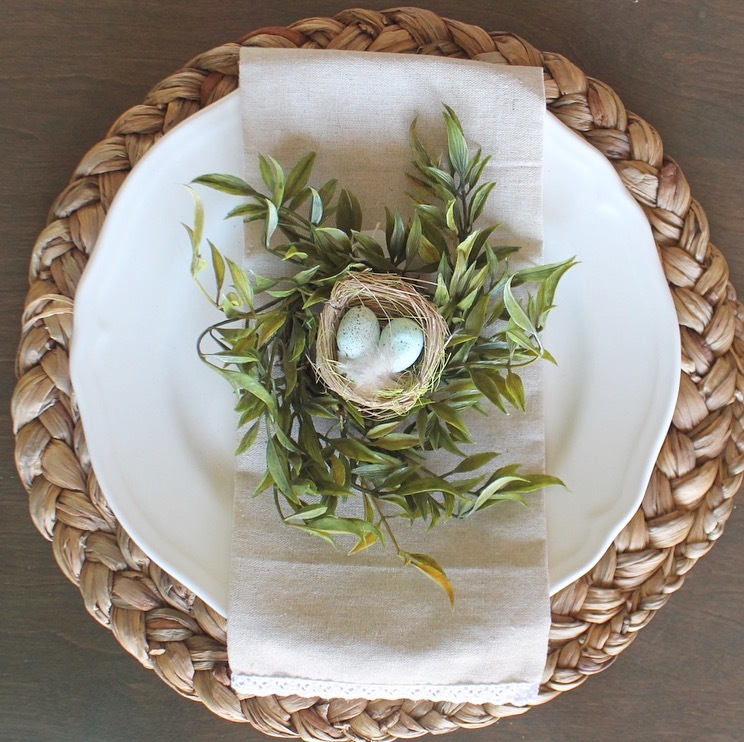 I change the wreath out for seasons and found this wreath at Target for under $25! It's perfect for spring and summer. 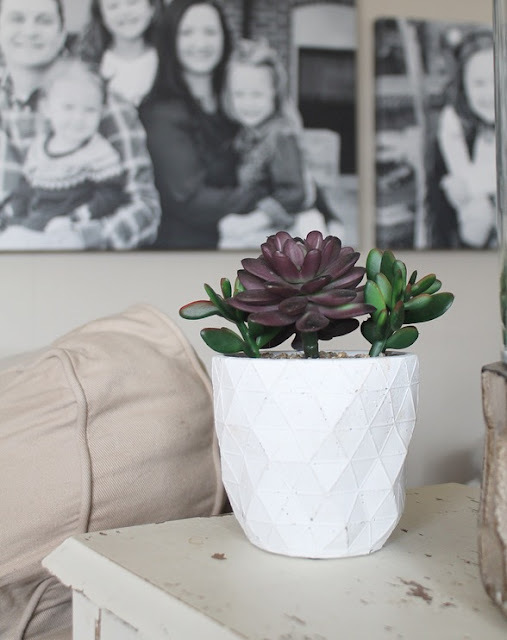 I made this little macrame planter last year and added a little cactus plant to it. I hung it from my old ladder in my entry. I love that these are coming back into style! It was so fun to make. My living room is very odd shaped and I have a brown couch, which in the decor world is not seen so often. I actually love it though. It's super comfy and I don't have to worry about stains. To brighten the space up, I use neutral and bright pillows. 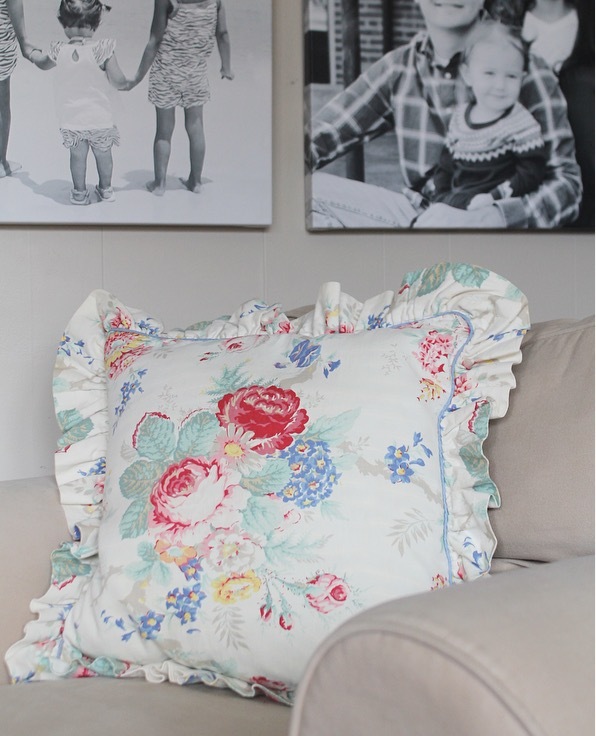 I bought the floral pillows from TJ Maxx for spring and I am so in love with them! They have a navy blue, velvet back and the print is beautiful! 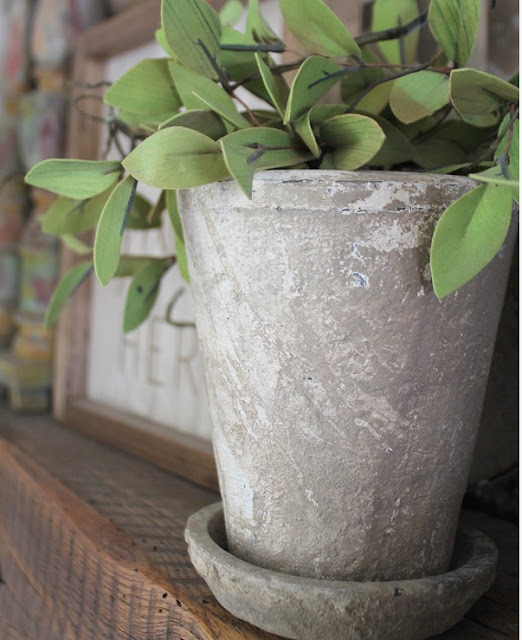 These corbel bookends are from The Purple Rose Home. I just love them! 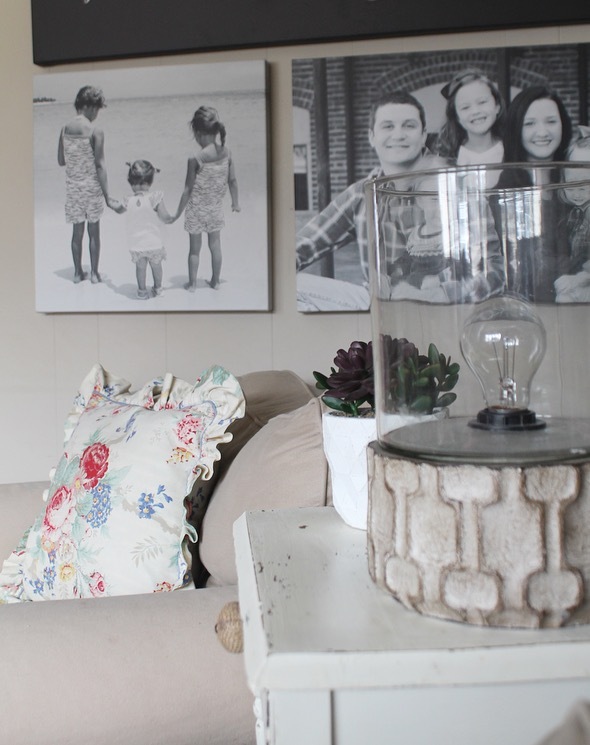 My black and white, canvas gallery wall is my favorite thing about my living room. 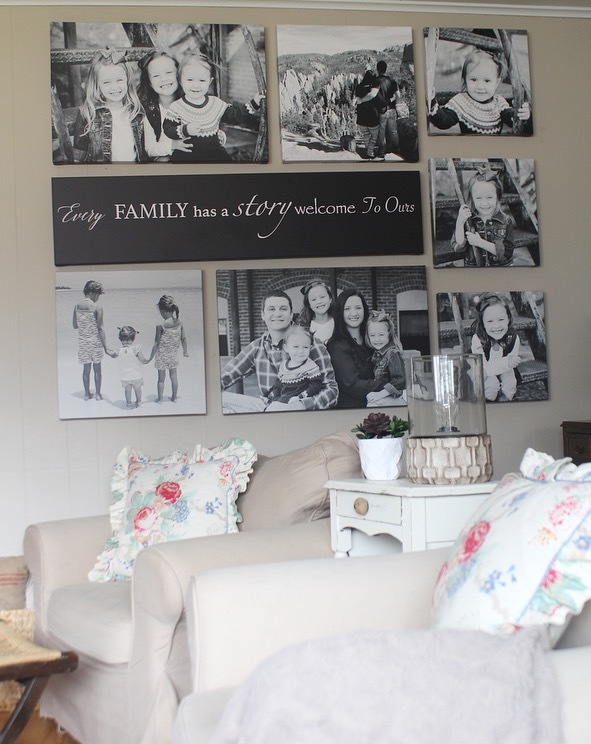 The canvas prints are from Canvas HQ and they were absolutely amazing to work with in creating this. I am always searching for a great deal... and when I came across these pillow covers on EBay for a steal...I HAD to have them. Perfect for that fresh, spring vibe. My bestie actually bought me this cute, little flower banner from the "Dollar Spot" at Target. I draped it on this DIY sign I made in my living room. I love the colors! 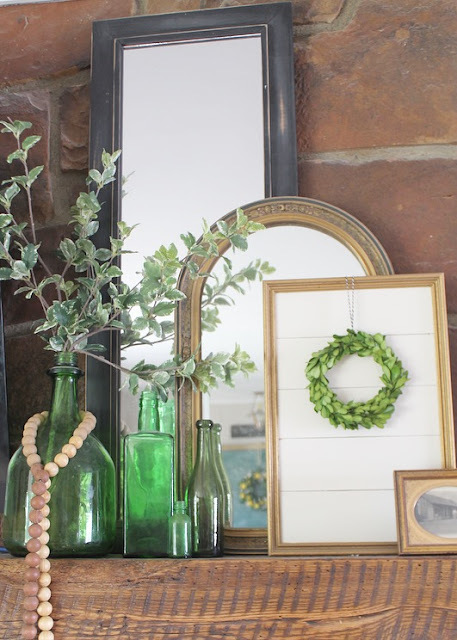 I grouped some green bottles together for my mantle and added some faux stems. I love changing around my mantle for the seasons. I made this "shiplap frame" last year that you can find HERE and added a little boxwood wreath to it. Simple and cute! 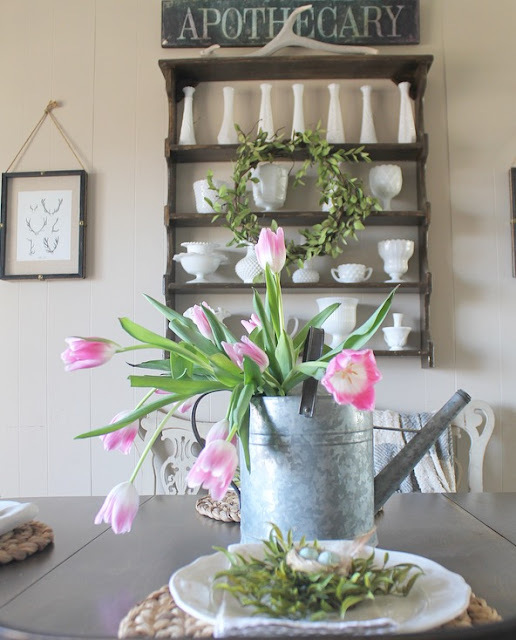 My dining room is always my favorite room to style. I kept my centerpiece super simple by using an old, galvanized watering can I found at a garage sale and some fresh, pink tulips. 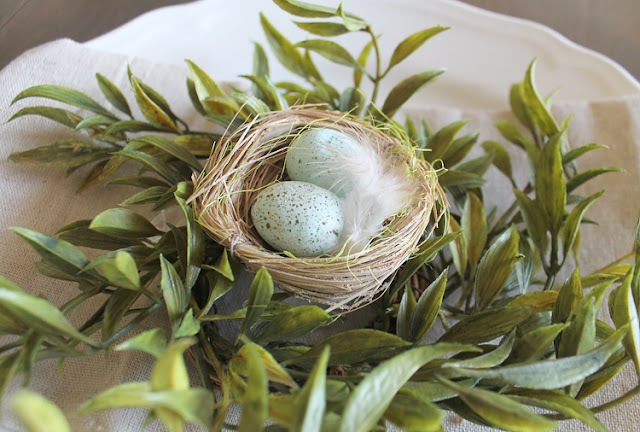 I found these sweet, little egg nests on Amazon for less than 9 bucks for all 6! You can buy them HERE. 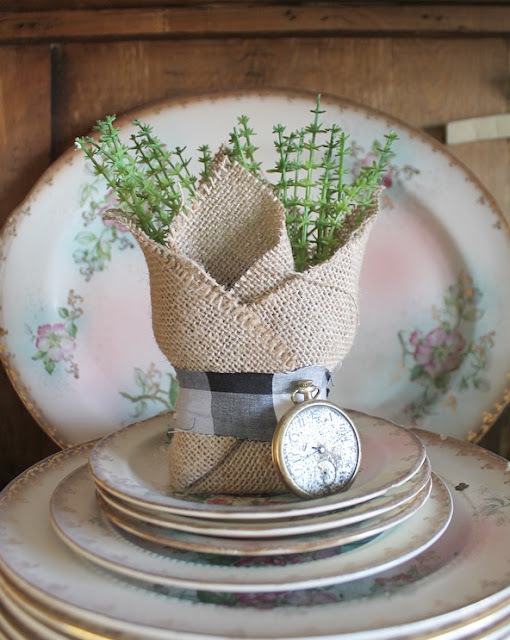 I love this fern pillow from LovingLeighYours on Etsy. She has tons of super cute pillow designs! One of our little, spring chicks had to check things out..hehe! 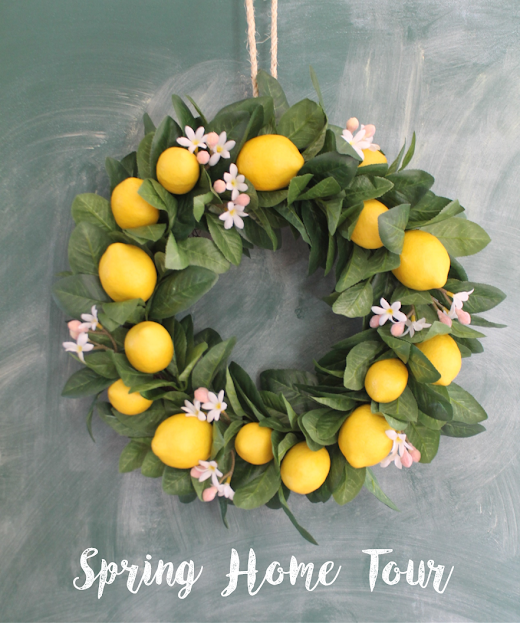 I hope you enjoyed my mini spring tour! Don't forget to check out my friends links below for more inspiration! 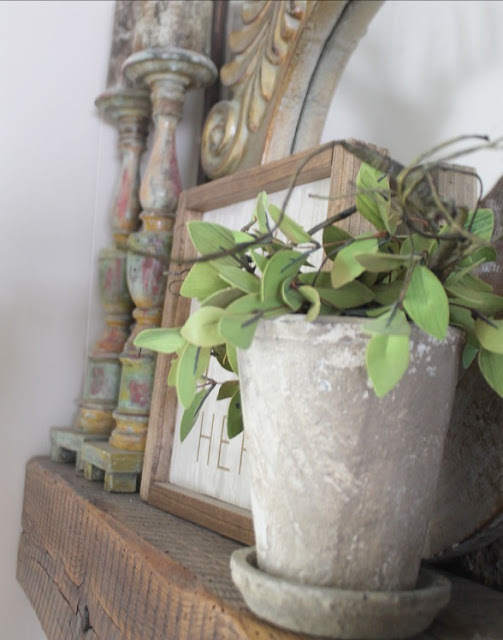 If you are following the links blog to blog then your next stop is my friend Holli an her beautiful home at Bees N Burlap! So Pretty! I love all the tulips and the greenery! 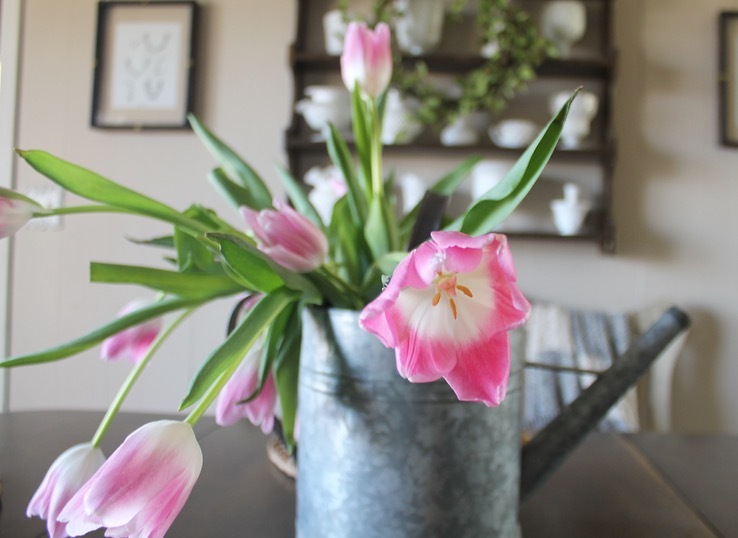 I think I need to go buy some tulips now! Your wreath is so pretty, Daraka! Your little chick couldn't be more perfect!! Loved your spring tour. So pretty! 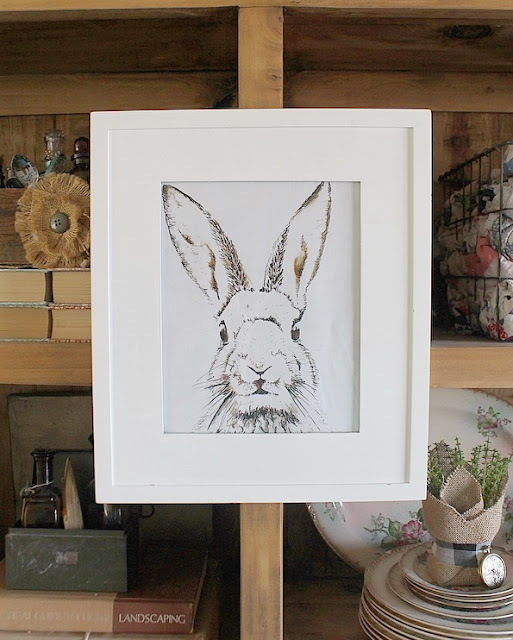 I adore your bunny wall art and the sweet lil chick is adorbs! Thank you so much Carli! Love this! That little bunny is the cutest! Loved your tour! 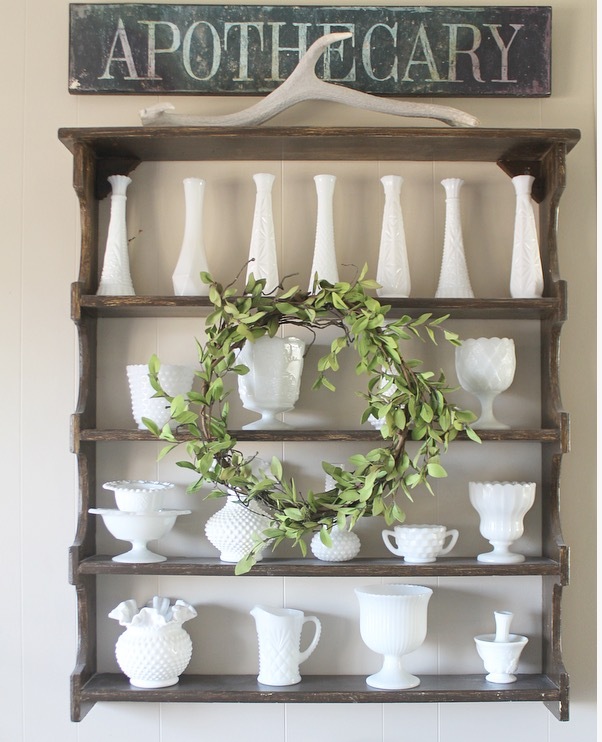 Love how you displayed your milk glass collection and how you styled your mantle! Such a fun spring tour! 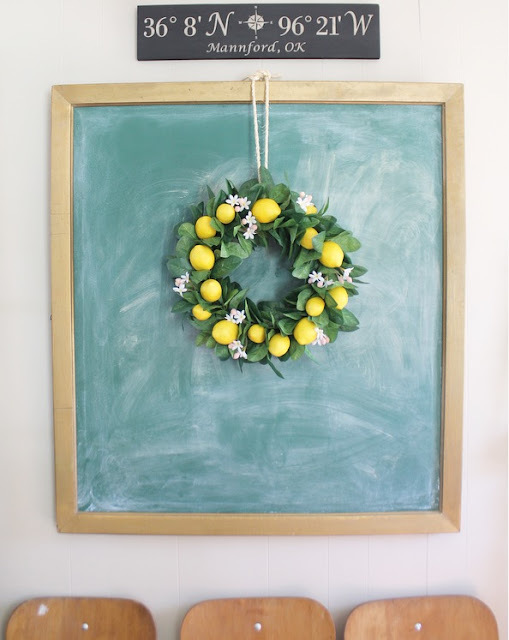 I love love the lemon wreath! So glad we got to do a tour together! Oh my heart! That little chick!!!! So many beautiful things to love here like that wreath. All the heart eyes. Loved doing this with you! Me too! Thank you so much Jessica! Daraka, I love all of the pretty spring touches you have in your home. The wreath is soooo perfect. Love it all! Everything is so pretty! 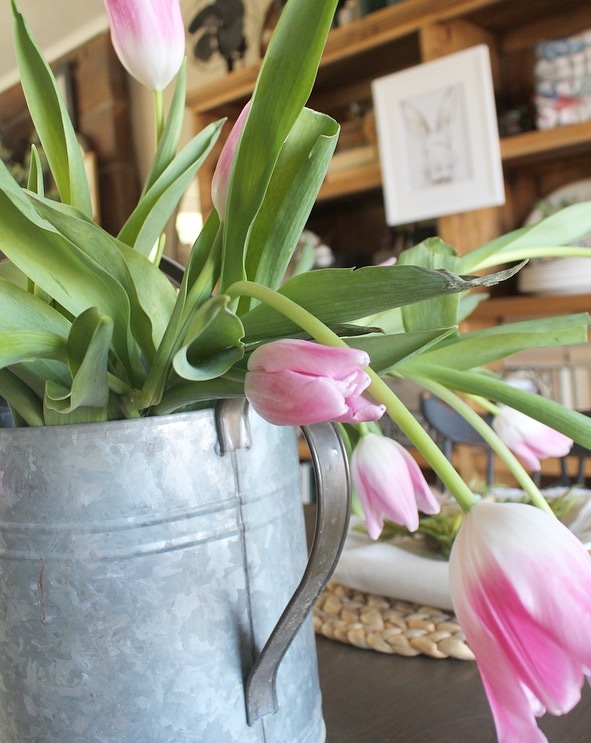 I love the tulips in the watering can! Beautiful!!! Loved that last pic, so gorgeous. All of it was! Beautiful! I love all of the pops of green and of course that baby chick!